With the 2014 World Cup a little over a year away, official news on the event keeps trickling in. As of this last week, two items have caught the attention of the blogosphere and soccer fans, mainly the official posters for each hosting city and the official name for the mascot. 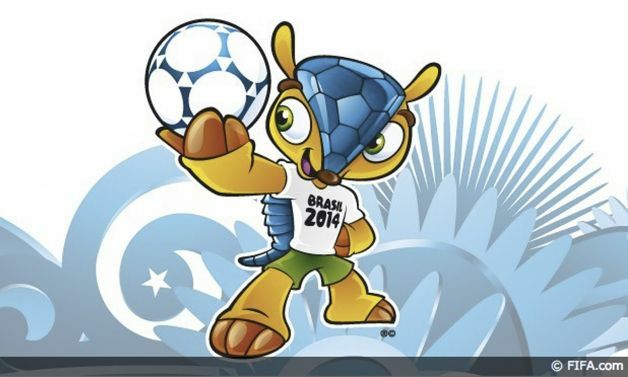 As for the mascot, it’s an armadillo which was just introduced to the public this September. Yesterday, via popular vote, the mascot finally received an official name: Fuleco. Winning out over two other possibilities, Zuzeco (azul & ecologia, or blue and ecology) and Amijubi (amizade & jubilo, or friendship and joy), the name Fuleco, with almost 50% of the votes, reflects a combination of two words in Portuguese, namely “futebol” (football) and “ecologia” (ecology). Also to make its debut was the official posters for each hosting city. At first they were leaked but, shortly after, the announcement came from FIFA. Below is the Rio de Janeiro version (the full set can be found here) where each layer depicts a different aspect of the city, among them the beach, the sea, the mountains, Sugarloaf, and the sky. Adam is a writer and a researcher who has studied Brazilian culture for over a decade and created several Brazil-themed blogs going back to 2008. Having taught himself Portuguese, he put it to practical use by spending three years doing Brazil on a budget (and living in favelas), from Rio de Janeiro to the Amazon. He now resides in Lisbon, Portugal, developing a startup and dreaming about having a beachside B&B in the Northeast of Brazil. Hello everyone. 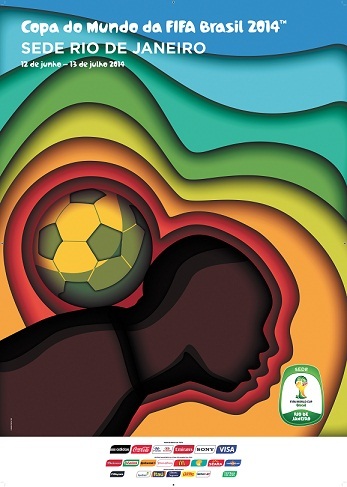 I love futebol and now with Copa 2014 less than 500 days away it will be here soon but never soon enough for me. With that said, what were people thinking when they created this mascot for the event? Sorry, but Fuleco does not make the cut with me. He’s ugly, colorless & it neither inspires the message of futebol or the environment which seems to be the underlying inspiration. From a country that oozes style, color and beauty in such dramatic, over the top manner whether it be through the costumes during carnaval, clothes that the beautiful Brasileiras wear, passion for parties & celebration, etc., to see this understated, joyless and drab figure runs counter to everything Brazilian. Look at it, the way it is standing and looking at the ball. To me it looks like he’s confused and/or scared of the soccer ball as if it was a grenade or something. Again, this mascot tells me nothing about futebol, Brasil or the environment. It looks as if a young school boy or girl did this & not some "professional" who obviously was massively underqualified and overpaid. Very disappointing to say the least. Hardly the most pressing topic but you have to admit this mascot is not exactly easy on the eyes. What do you think?